On the morning of September 11, 2013 I took a trip with Monterey Bay Whale Watch. For a number of days prior they’d been reporting seeing hundreds of Humpback Whales in the waters of the Monterey Bay, and not knowing how much longer they’d be around for I decided to tear myself away from work and go see this wonderful sight for myself. 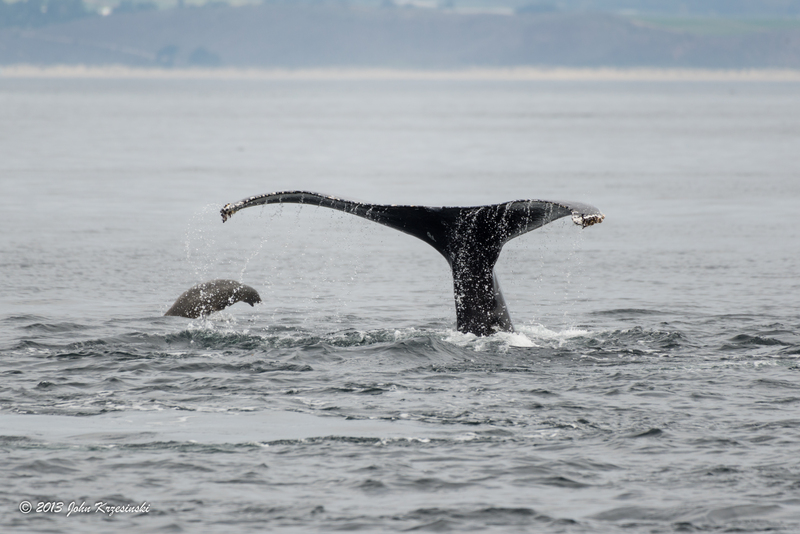 I wasn’t disappointed, as we saw somewhere between 50 and 100 Humpback Whales in the waters of the northern part of the Monterey Bay, along with hundreds of sea lions, a pod of Risso’s Dolphins, a couple of Mola Mola, and even a few harbor porpoises. Next Post Trova a riva un cucciolo di orca ed ecco che fa!Emozionante davvero!